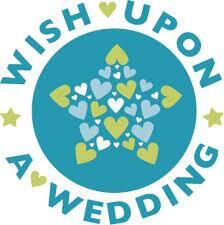 I was asked by the "Wish Upon A Wedding" NC Board to coordinate a wedding for a couple who faced a life challenge. I had many thoughts that went through my head but most of all I was honored, thrilled and excited after I read their "Love Story". Okay I am a little late blogging about this but I have been so busy planning this unique wedding. I just have to tell you about Robert and Taylor!!! For those that don't know about "Wish Upon A Wedding", let me first tell you about it. Many people dream of their wedding day but some due to an un expected life occurence have to cast that dream aside. 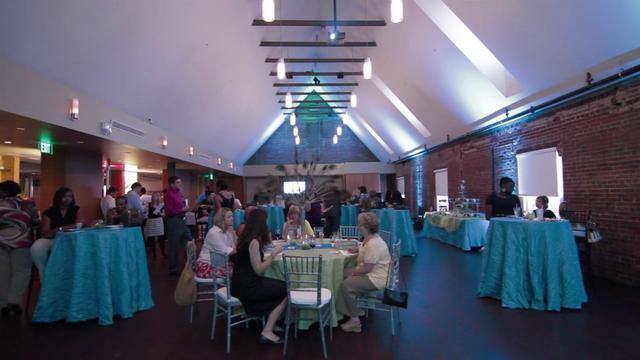 "Wish Upon A Wedding" provides free-of-charge weddings that will allow couples to concentrate on the issues affecting their lives instead of the battle of putting a wedding together. So first they find a wedding coordinator, that is awesome "Like Me"..hee hee (smile). So then I have to find awesome vendors from the venue to the cake, and everything in between to make this dream come true. Yes I have been involved since they lauched the North Carolina Board of Wish Upon a Wedding a year ago. Pasha, Veronica and I were at the welcome table during the launch party. 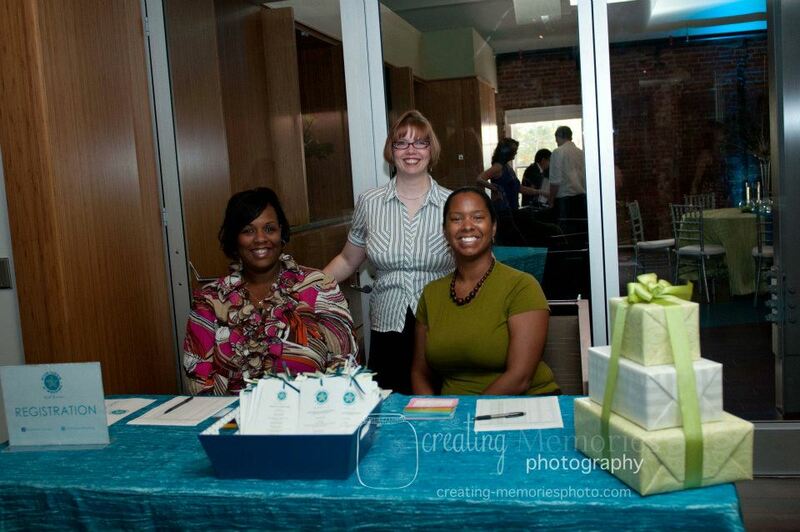 We welcomed all the vendors that signed up to be wish granters! The Launch Party in Chapel Hill last year! Taylor met Robert playing intramural sports at East Carolina University. Robert admired Taylor’s athletic ability and it wasn’t long before he started pursuing her. Just a couple of weeks after their first meeting, on October 16,2007, Taylor went to the emergency room with abdominal pain. After a few hours and several tests, doctors told Taylor she had a mass on one lung andthe other was partially collapsed. 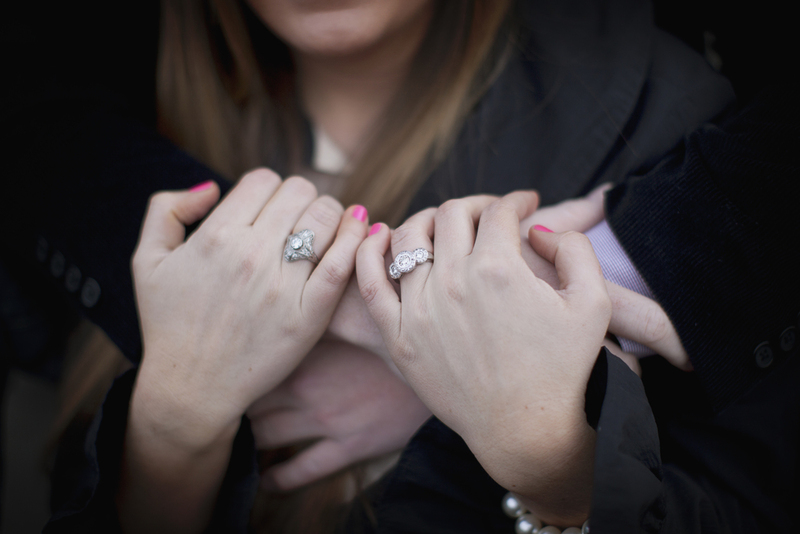 At 21 years old, Taylor was faced with the staggering news that she had lung cancer. She had never smoked, was in great physical shape, and was a former division 1 college athlete. Since her diagnosis, Robert has been by her side every step of the way. About a month after her diagnosis, Taylor underwent surgery and she is now cancer-free. Her prognosis is good, with an 85% chance that her lung cancer will never return. Since her recovery, Taylor has dedicated her life and her career to advocate for those who have not been so lucky to survive lung cancer. When I drove down to meet them the first thing I noticed was how loving Robert was towards Taylor. She had just washed her hair and pinned it up wet and then came out to meet me. Even though it was a hot October afternoon, it was cold inside our meeting place. As Taylor was excitedly sharing her ideas with me Robert was lovingly looking up to see how to close the air vents. So after sharing my ideas and thoughts, I knew this was going to be fun. On my long drive back home I started planning out loud. Okay all I have to do is find Wish Granters to donate their time, space, or services. How hard could that be.......Right!!! You have no idea!!!! Thank you to all the Vendors who without any hesitation volunteered to be a Wish Granter for Taylor and Robert. There are more to come...just waiting on the donation agreements...... 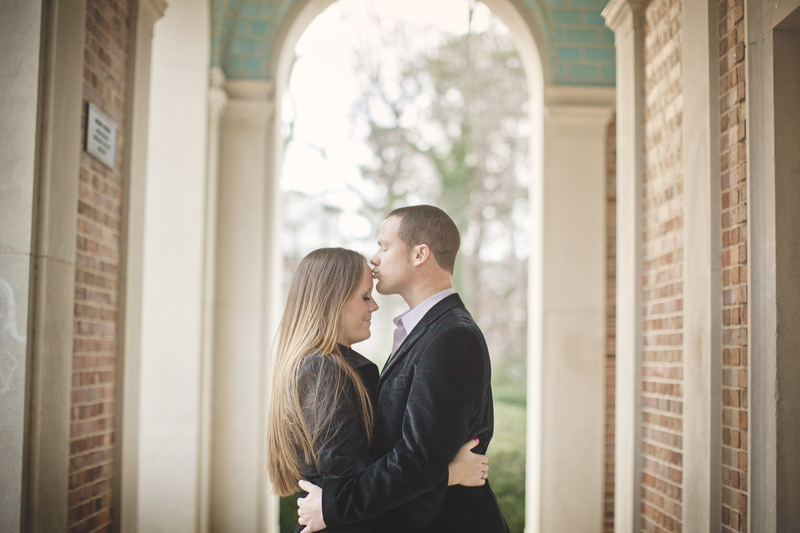 But take a look at the engagement session that Taylor and Robert did on the campus of UNC Chapel Hill with our photographer Anna!